Every animal in the world is capable of possessing and displaying a deep and varied emotional range. This is why it is possible to befriend and understand every creature on our planet. In nature, animals tend to show amazing maturity when faced with unique circumstances, allowing us to better understand their emotional states. It is nothing short of miraculous when natural predators befriend the very animals that are supposed to serve as their next meal. Animals prove to us time and time again that hunting only equates to survival in their world and they can be extremely gentle when not pursuing that instinctive action. 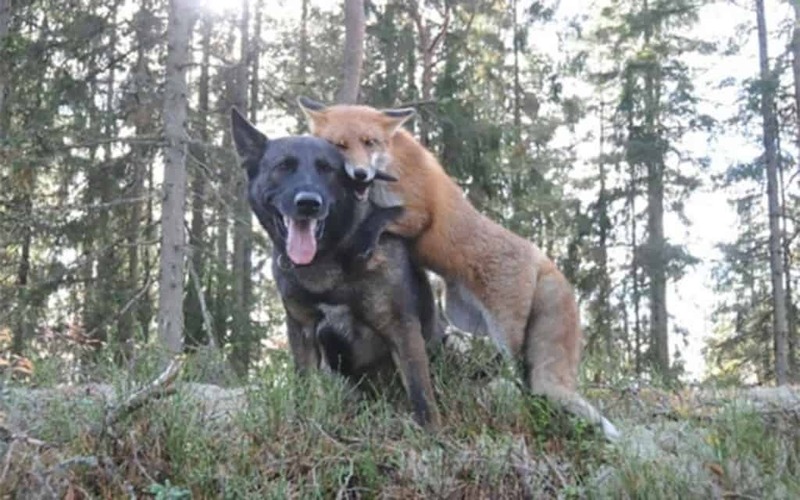 Here is a list of 20 animal friendships that are absolutely mind-boggling and are sure to surprise you. 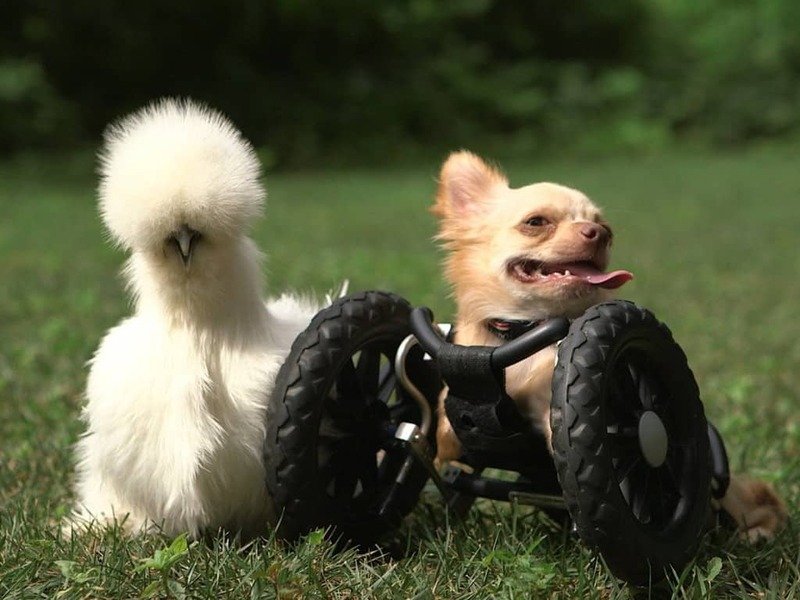 Roo, a disabled Chihuahua was receiving treatment at Duluth Animal hospital one day when Penny, an orphaned Silkie Chicken was brought to the same ward. 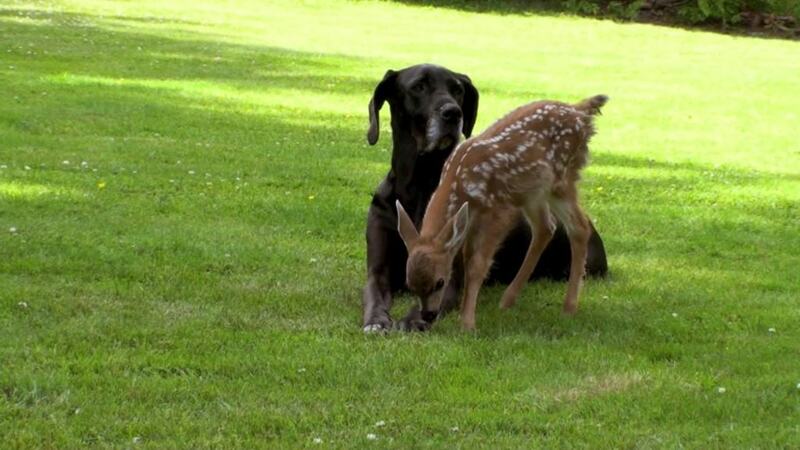 The two animals instantly became best friends and have spent all their time together since. 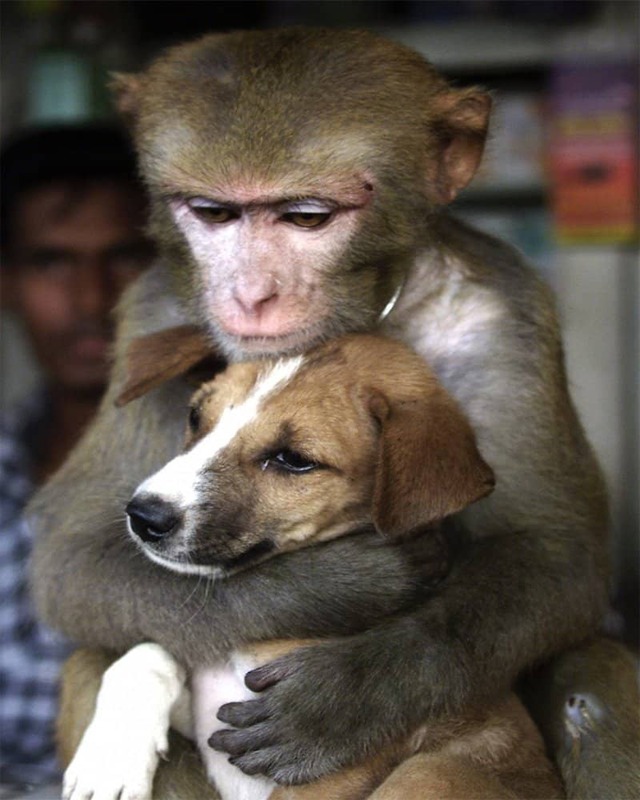 This monkey was purchased by a trader in Bangladesh, but apparently as soon as the monkey looked at the trader’s dog, it went straight towards it and began petting it for hours. Is the dog the monkey’s pet now? 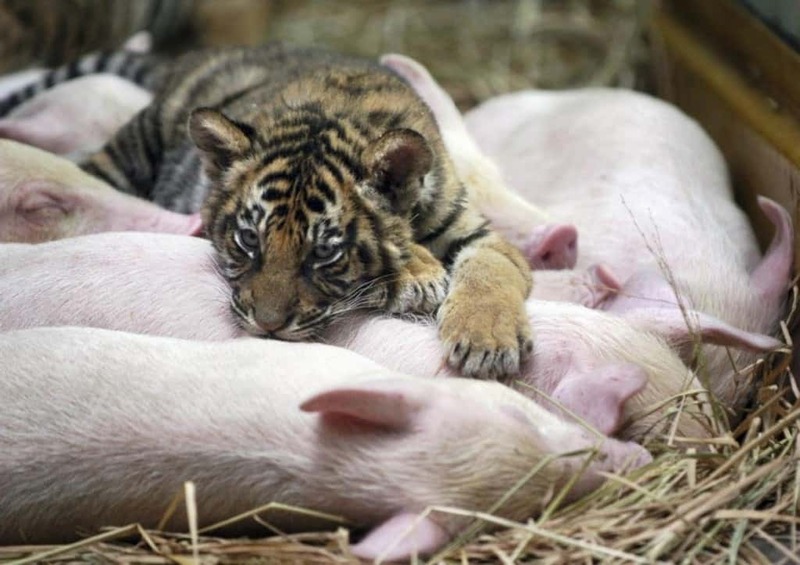 A zoo in Thailand has attempted to try something different by pairing Tigers and Pigs together in order to bring in more visitors to the zoo. This is a strange sight indeed and is definitely worth seeing. 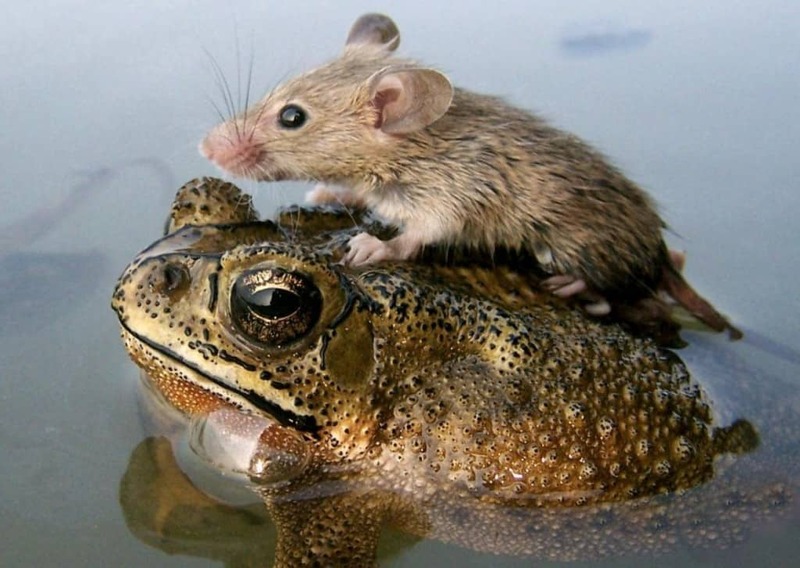 This unusual friendship was spotted in India, where a Frog was seen helping a mouse cross a steady stream of water. This must have been a short term friendship but it is remarkable nonetheless. A dog is a man’s best friend and an Orangutan is closer to our species than most other animals. 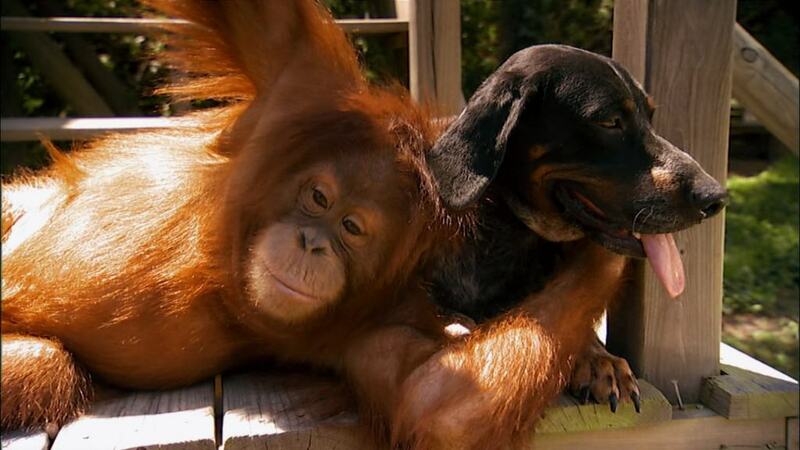 This could possibly explain how Suriya the Orangutan and Roscoe the hound became best friends. 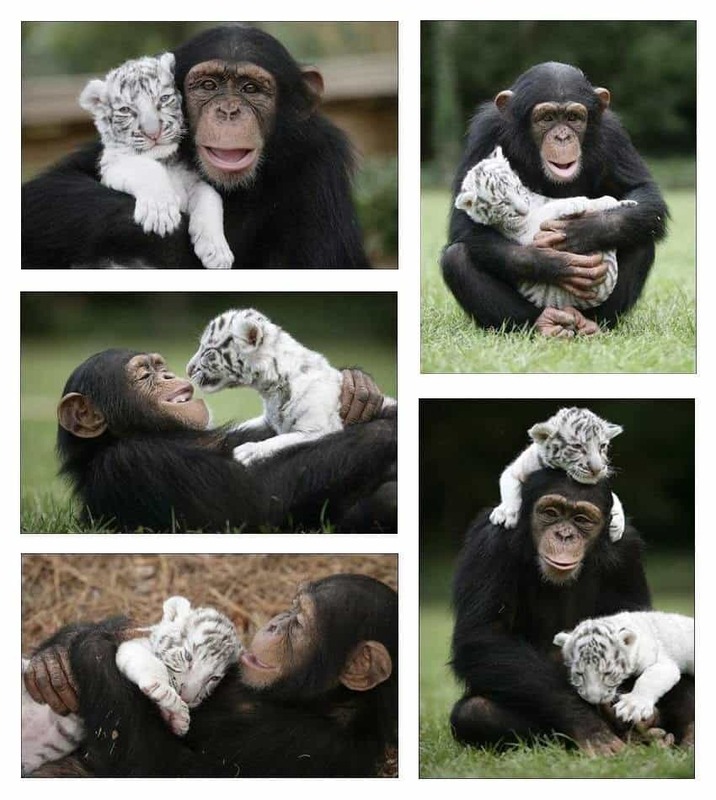 Two white tiger cubs found an unusual substitute for their mother after being separated in a flood in the form of Anjana the Chimpanzee. Anajana looked after the cubs until they grew up to near full-sized white tigers. 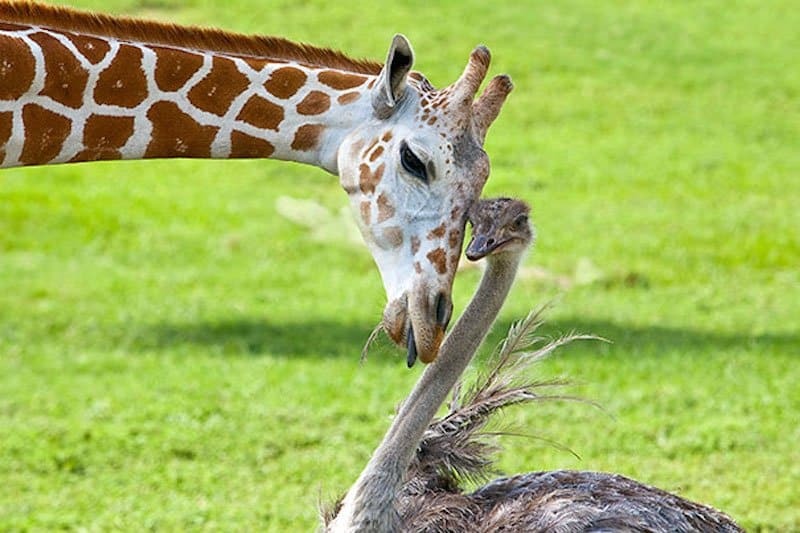 This highly unorthodox friendship was forged at Busch Garden in Florida, where Bia the Giraffe and Wilma the Ostrich have grown to become the closest of friends. 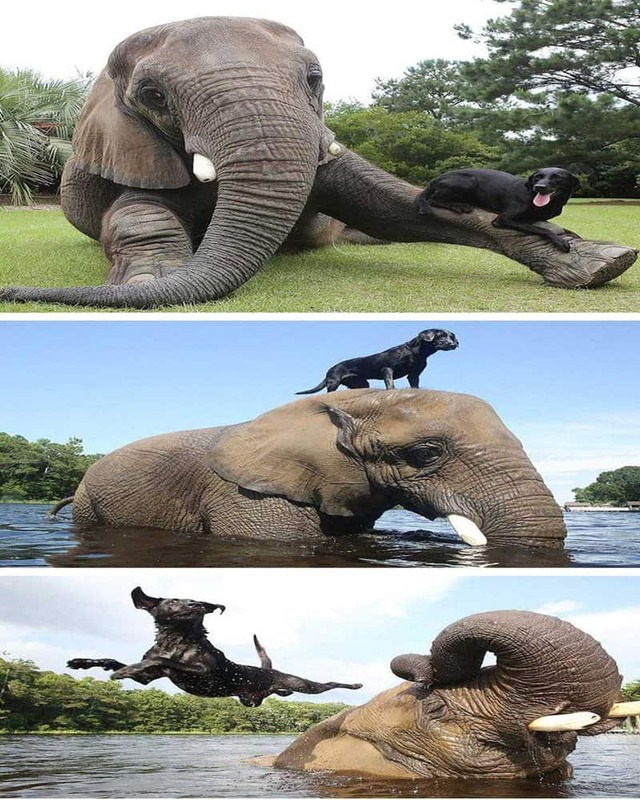 Bella, a Labrador living at Myrtle beach Safari in South Carolina, found Bubbles the Elephant after being abandoned by her family. The duo are now closer than most other animals in the area and are seen playing with each other constantly. This baby Macau was found in Neilingding, China, after being abandoned by its mother. It was very close to dying before it was taken to a nearby hospital. 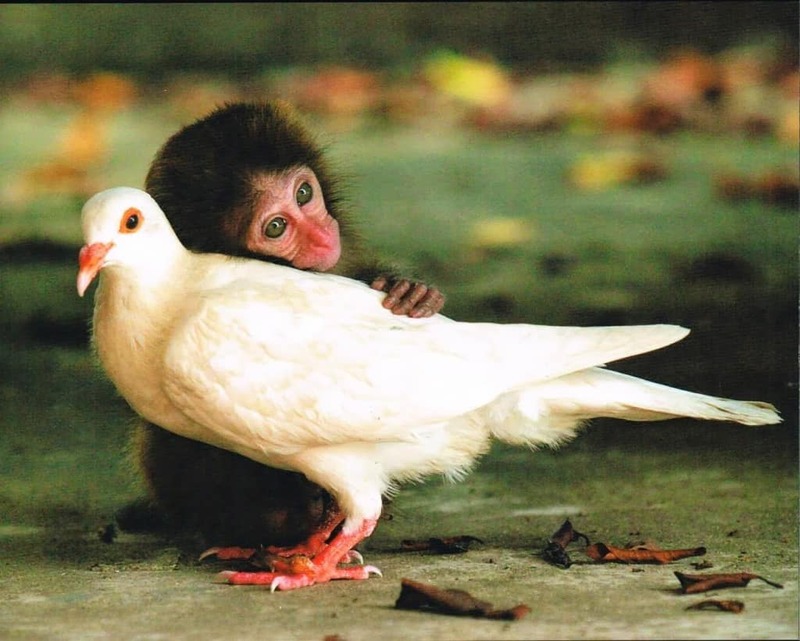 This is where the monkey famously became friends with a pigeon which helped cure the monkey’s depression and saved its life. They say female dogs have great propensity to care and are naturally some of the most loving animals in the world. When Kate the great Dane first met Pippin the deer, it began to instantly care for the orphan fawn and has been her primary care-giver since. This stunning trio defied all logic and reasoning by becoming best friends and sharing a home for many years. 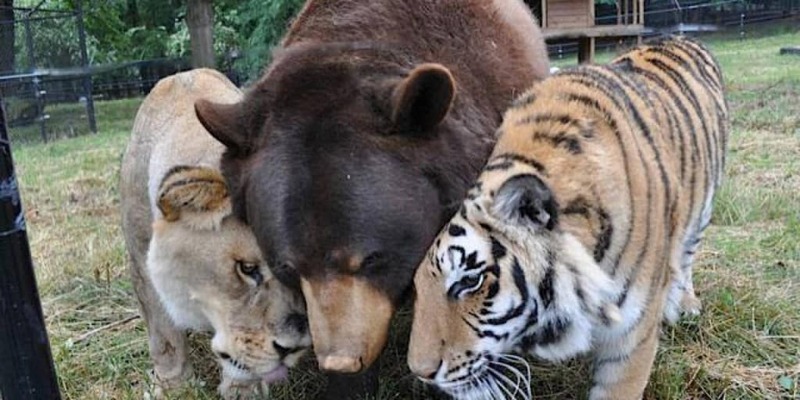 Baloo the bear, Shere Khan the tiger and Leon the Lion have come together to become the most unlikely family in the animal kingdom and live together at Noah’s arc rescue center in Georgia. 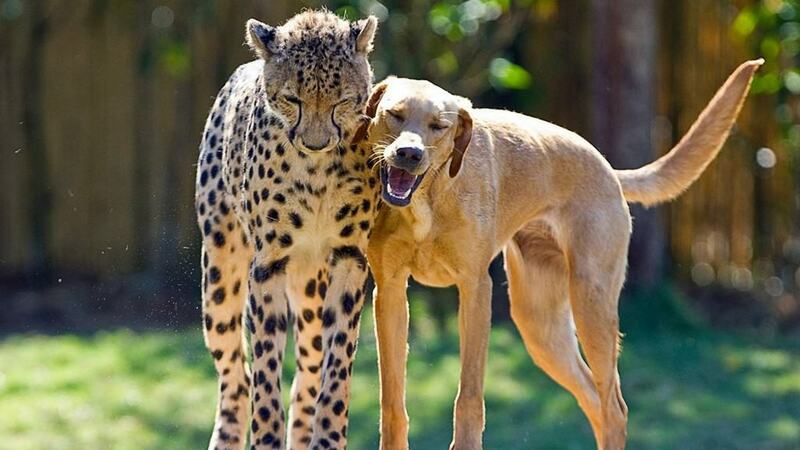 Kasi the Cheetah and Mtani the dog grew up with each other at Busch Gardens and are the best examples of canines and felines transcending the rivalry amongst their species. Mausschen is the oldest living female Asiatic Black Bear in the world and is quite famous in Berlin. 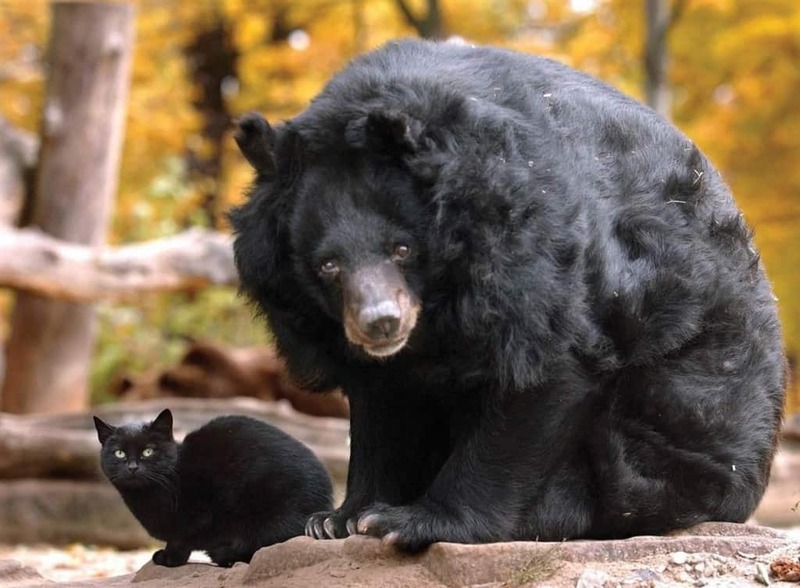 When a black cat began living with Mausschen after 2000, the bear became even more famous for the newly developed friendship and its overall gentle nature. A photographer in Norway was walking through a forest with his pet German Shepherd Tinni when they ran into an abandoned baby fox. The photographer decided to adopt the baby fox and named her Snusen. Snusen and Tinni became best friends and are now famous for their unlikely friendship. 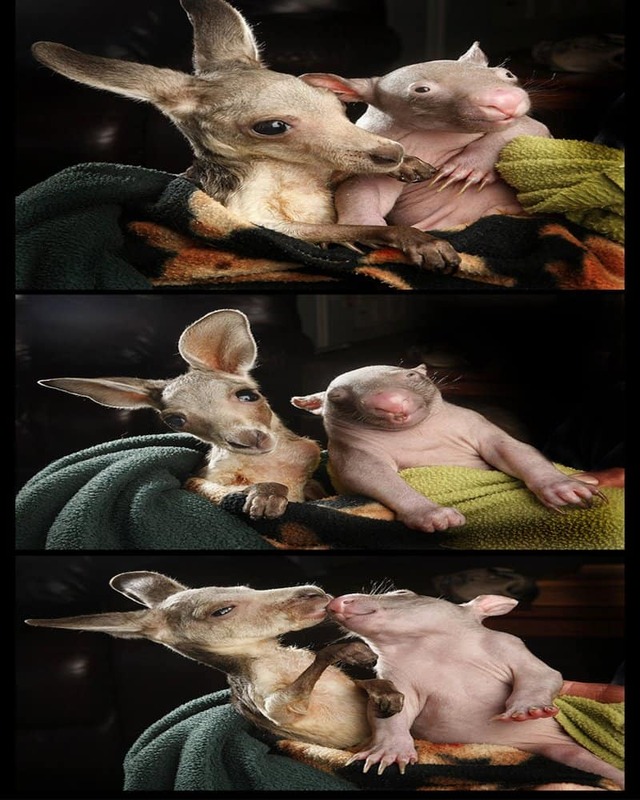 This baby Kangaroo and Wombat are different in nearly every way possible but that did not prevent them from forging a connection and becoming close friends. 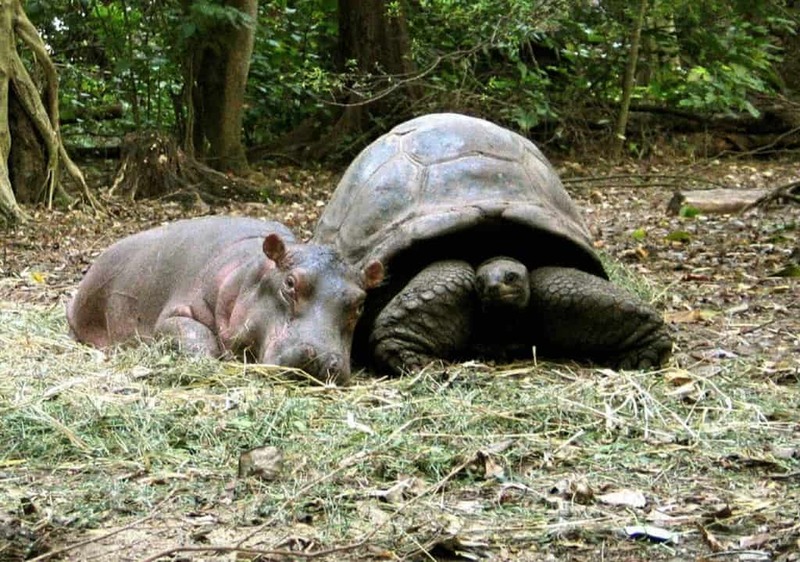 This 120-year Tortoise decided to adopt a baby hippo in a Kenyan Sanctuary after it realized that the Hippo’s mother had passed away. The new family can be spotted when you visit this Sanctuary. Anthony the Lion and Riley the Coyote became famous around the world after they became friends and started to share the same cage in a zoo at Kingman. Even though Anthony passed away recently, their friendship has been forever immortalized. 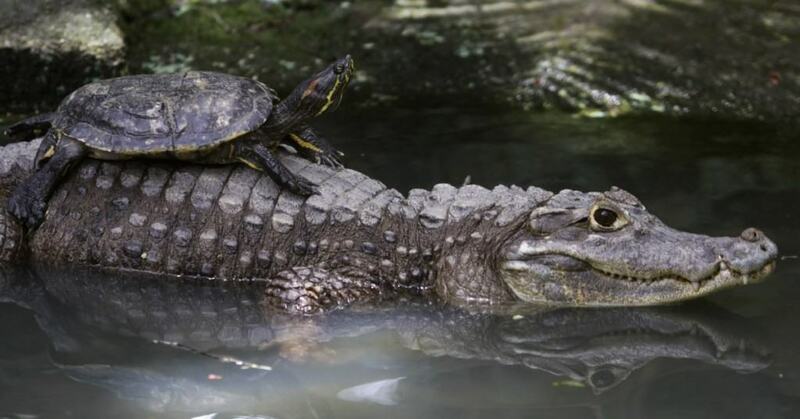 Even though most turtles would not risk venturing near the belly of the beast, this brave turtle decided to take the ultimate leap of faith by hitching a ride on the back of an Alligator in Panama’s Summit Zoo. The faith paid off and the duo made waves by becoming unlikely friends. 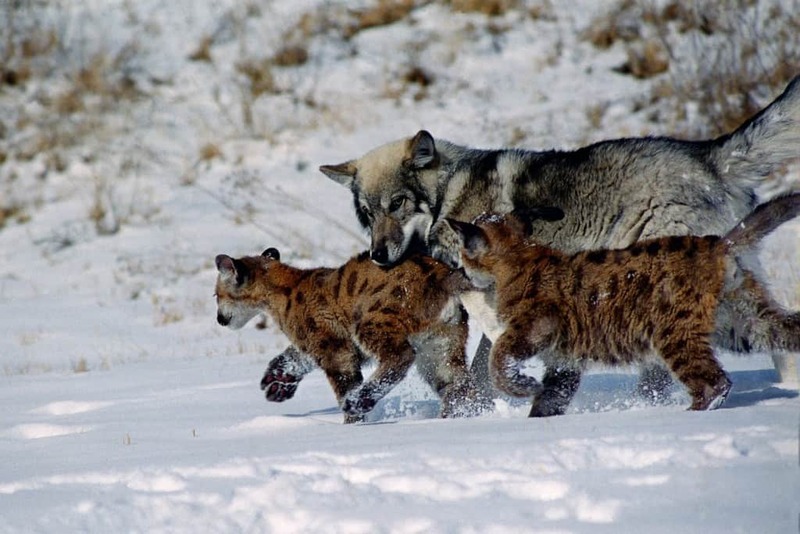 This beautiful image was captured in the wild and shows wolf cubs and mountain lion cubs playing with each other while navigating their way through the snow. This amazing picture was taken at a Tiger Park in China. 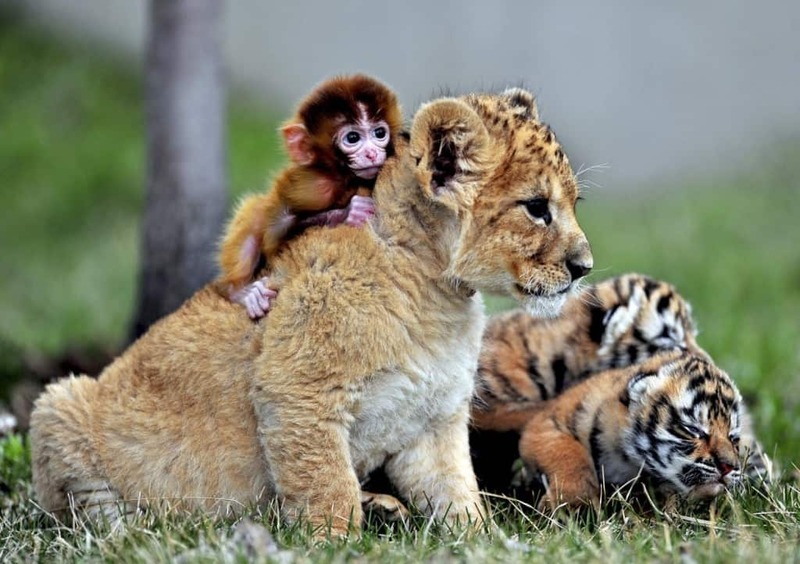 We can see a baby monkey, a lion cub and two tiger cubs playing together, letting their innocence guide them instead of their instincts.